Beginning this month until the end of March, Fountaindale Public Library is proud to present its first ever Winter Movie Program!!! The guidelines for the program are very simple. 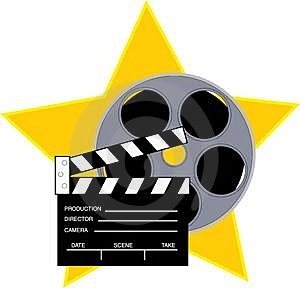 Adults, 6th grade and up participate by viewing movies and then writing reviews on “Movie Notes”. These “Movie Notes” are available at both the Reader Services and ASD desk. At the end of each month (January, February, and March) there will be a drawing held to win a prize. You have the possibility of winning a set of Showplace Movie Passes, a Barnes & Noble Gift Card, or a Best Buy Gift Card, depending on which option you circle on the “Movie Note”! And that is it! So get out the popcorn, pop in a movie, and enjoy the fun!!! This entry was posted in Library Programs, Movies and tagged Brian S.. Bookmark the permalink. ← Let your geek flag fly!